To replace the Mg rear wheel only. 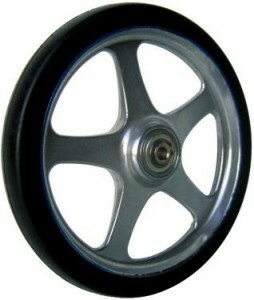 Includes one wheel/tire, bearings, rear axle, and snap rings. For those with a pair of snap ring pliers you can order a plain ultra wheel and reuse your existing axle and snap rings. We provide this wheel as a convenience since snap ring pliers are not a common tool in one’s toolbox.